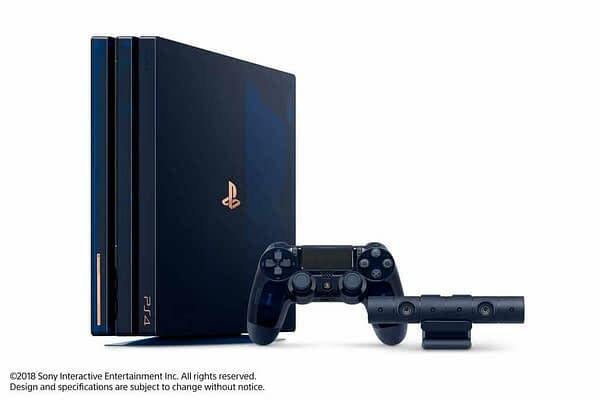 Sony has a brand new PS4 Pro on the way that will mark a milestone for the company, and they’d really like you to buy it. The company is releasing this special 500 Million Limited Edition PS4 Pro in the fall to mark 500 million systems sold around the world over the past 24 years. We have the features and whatnot for you below from their blog, but for us, this is a bit of an oddity. Sony themselves came out just a few months ago and said the PS4 was reaching the end of its life cycle. Yet, here they are, making a new version of it that they hope you’ll spend $500 on. Don’t get us wrong, we love the PS4 and its library. But when you got a company saying that their current product is near death and they’re probably already working on the PS5, we’d rather save the $500 for that console’s launch.